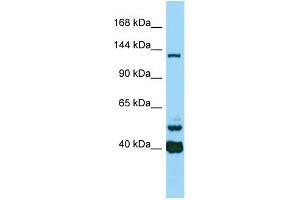 Characteristics This is a rabbit polyclonal antibody against CAMSAP3. It was validated on Western Blot. Background Microtubule minus-end binding protein that acts as a regulator of microtubule dynamics. CAMSAP3 is specifically required for zonula adherens biogenesis and maintenance by anchoring microtubules at their minus-ends to zonula adherens, leading to recruit KIFC3 kinesin to junctional site.